Gonzalo Higuain’s reported move to Chelsea remains “in the air”, according to AC Milan assistant boss Luigi Riccio. 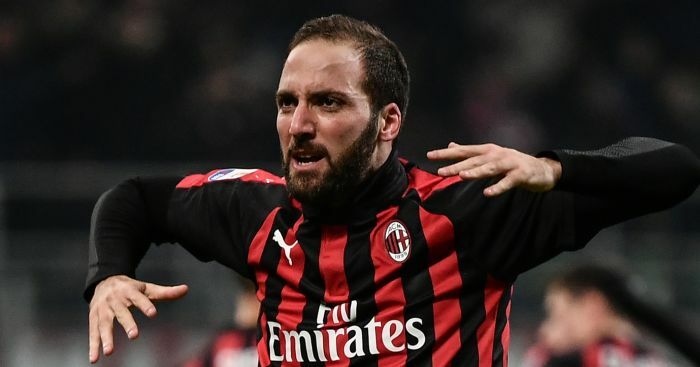 Higuain did not feature as Milan claimed a 2-0 Serie A win at Genoa on Monday, with Rossoneri assistant Riccio phlegmatic about the Argentina striker’s absence. Higuain, who is on loan at Milan from Juventus, is reportedly wanted at Chelsea by his ex-Napoli boss Maurizio Sarri. “As for the transfer market we are all grown-ups, we know how to deal with these situations,” Riccio said, according to Gazzetta. “It has been in the air for a few days. Chelsea boss Sarri will hope his extraordinary criticism following the lacklustre loss at Arsenal is met with a response by his Stamford Bridge squad – and will want Higuain to support their bid for a place in the Carabao Cup final. Chelsea have until 12noon on Wednesday to complete a deal for Higuain if they want him to be in the squad for Thursday’s semi-final second leg with Tottenham at Stamford Bridge, according to EFL regulations. 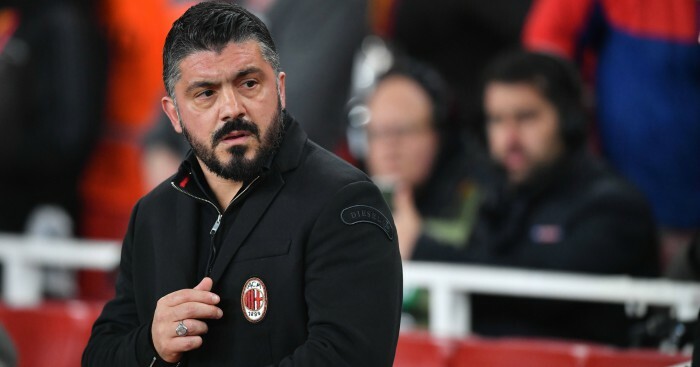 Higuain was left out of the Milan squad for Monday’s trip to Genoa, with Rossoneri boss Gennaro Gattuso admitting pre-match that the speculation had disrupted preparations. Genoa could help expedite Higuain’s departure to London by selling Krzysztof Piatek to Milan. 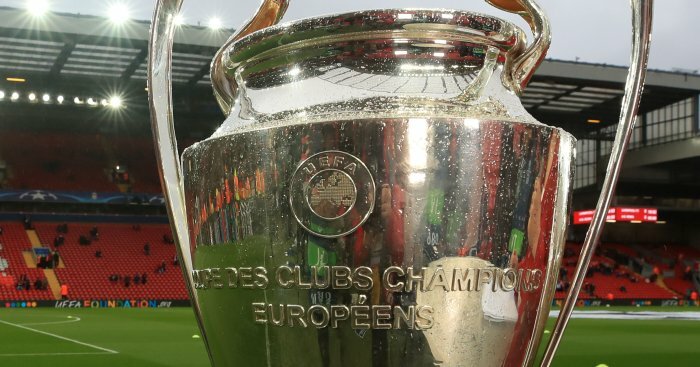 The clubs were reportedly set to discuss a deal for the Polish striker following Monday afternoon’s match. The Blues normally prefer short-term commitments to players aged over 30, but it appears Sarri has persuaded Chelsea transfer chief Marina Granovskaia to compromise on that over 31-year-old Higuain. Higuain played under Sarri for one season, scoring a Serie A record 36 goals in 35 games for Napoli in 2015-16 before joining Juventus. 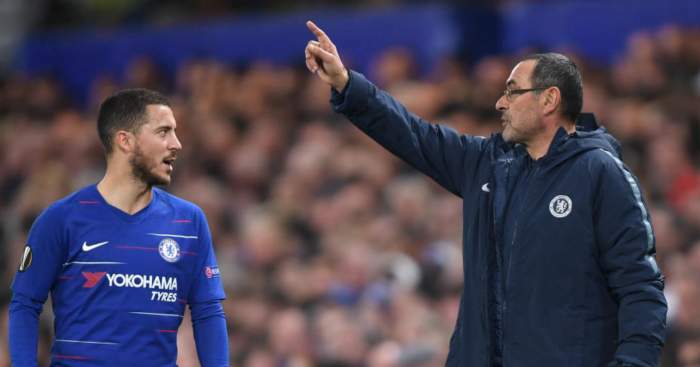 Chelsea boss Sarri defaulted to his native Italian and used an interpreter to ensure his message was delivered loud and clear following last Saturday’s loss to Arsenal. Sarri said then that a new arrival could galvanise a team he has found “extremely difficult to motivate”. The Italian has also vowed not to waver in his commitment to his 4-3-3 formation and tactics which have earned the name ‘Sarri-ball’. Eden Hazard will likely be keen to share the attacking burden, having been deployed as a ‘false nine’ for a sixth time in eight Premier League games against Arsenal. He was ineffectual once more and has previously spoken of his unhappiness in the position. Keeping Hazard happy is key if Chelsea are to persuade him to extend a contract which expires in June 2020, rather than pursue a “dream” move to Real Madrid. 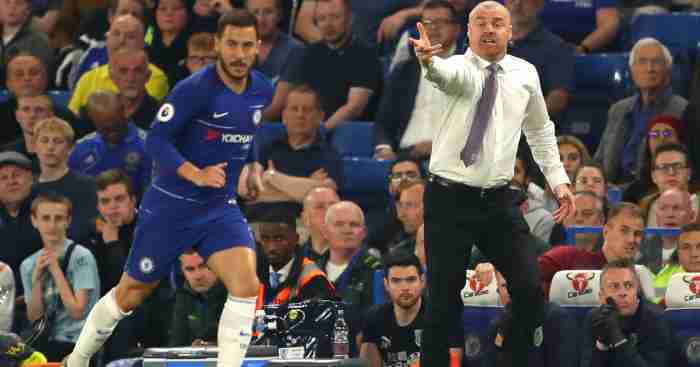 Sarri pointedly said Chelsea were defensively more solid by playing Hazard as the attacking focal point, hinting at a grievance shared with previous Chelsea bosses about the Belgian’s willingness to track back. 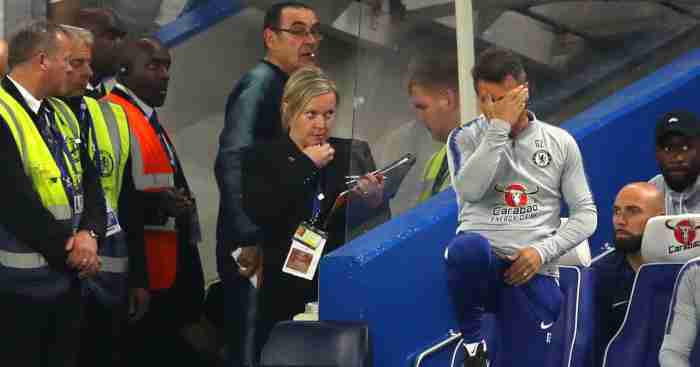 Hazard told francefootball.fr: “I didn’t just frustrate (Antonio) Conte. In my career I’ve frustrated all my managers, and now I’m frustrating Sarri. 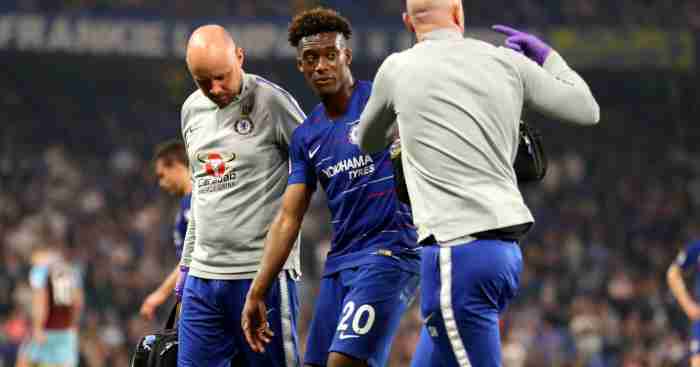 Another player Chelsea hope to keep is Callum Hudson-Odoi, who has been linked with Bayern Munich throughout the winter transfer window. Sarri has left Alvaro Morata out of the Chelsea squad for the last three matches ahead of an anticipated departure, with Atletico Madrid the most likely destination. Morata has nine goals so far this season – one more than Higuain has managed at Milan – but has cut a forlorn figure at times since his £60m move from Real Madrid in July 2017. Morata was billed as the long-term replacement for Diego Costa, but could now follow his fellow Spain striker back to Madrid.